Being healthy and fit is hard for anyone. Most people are always on the go and it is hard to find time in between work and sleep. 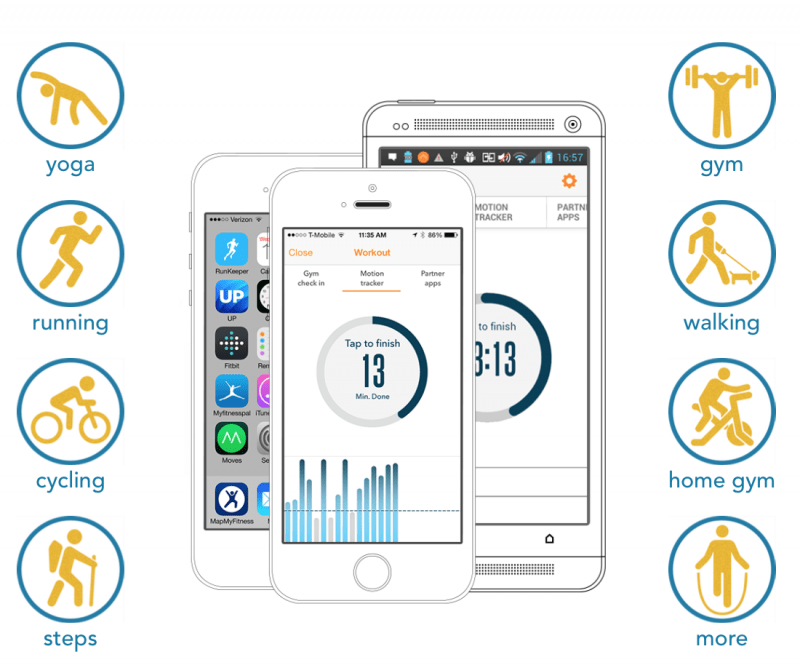 Over the years I’ve searched, and I think I have finally found the best apps to date that helps me stay fit and healthy, no matter how busy I find myself! I love this app because you can truly customize it to what you need. Grokker has hand-picked experts from all around the world that makes being fit and healthy easier than anyone could imagine. From the very beginning, Grokker asks you what you are interested in–losing weight, practicing yoga, getting fit, being mindful, or healthy cooking. Interested in more than one? You can choose as many or as little as you see fit! One thing that really stands out about this app is the forums. A huge community of people that is asking questions and others who are happily answering them! No trolls or d-bags in sight. Just people being people who are trying to support those who need it. Rather it be healthy cooking or fitness videos, you can watch a ton of videos that will help you with almost anything in order to live a healthy and happy lifestyle. Grokker believes that in order to “Be a better you”, you have to take a little time for yourself each day. If you have nothing but 15 minutes, this app will definitely not let you down. I consider this app to be the one that is a MUST HAVE on my phone. It gives me advice on workouts and I get encouragement from my peers within this app as well. Check out Grokker’s mobile optimized site by going to Grokker.com and download Grokker’s all-in-one fitness, yoga, meditation and cooking app from the App Store. This app is definitely game changer. When I really started getting serious about running–and that was not too long ago–I wanted to know the distance and time that I was running for. Map My Run does all that and more! If you want to run your own path, it will keep track and highlight where you are going. 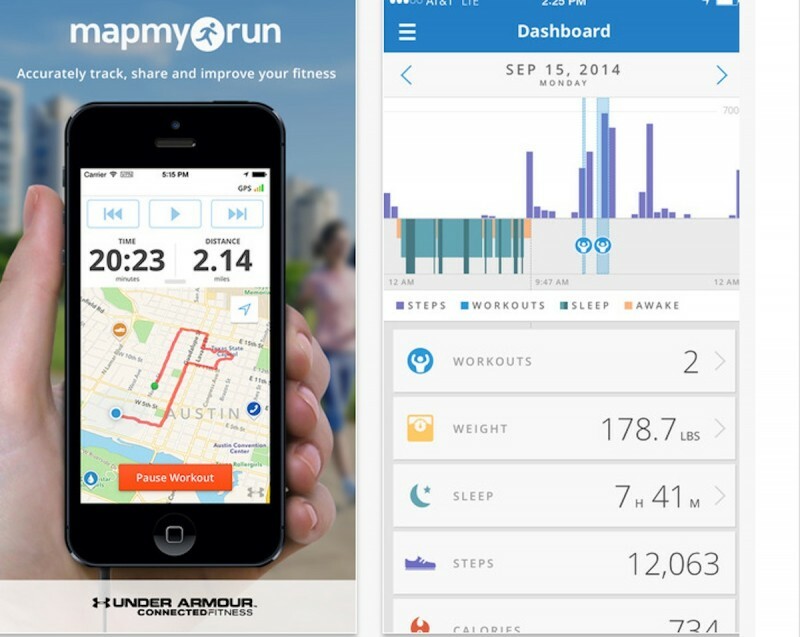 For every mile, the app will announce to you the time it took to accomplish it. Don’t know exactly where you would like to run? Take a look at all of the different paths that others take…you can even choose how long of a run you would like to go for. This app is probably my all time favorite in my entire collection of fitness apps on my phone. Pact helps me keep track of my exercise, food intake, and the amount of veggies eaten each week. Why is this app my favorite you ask? For every healthy thing that you do…you get paid. Yup, you heard that right–getting paid for the things that your should be doing anyway! You are pretty much betting on yourself to be healthy for (most of) the week. But beware! You only get paid a few cents per pact that you make and for each that you miss; you are charged $5 each. It starts to rack up, believe me. Do not go down that road. It is not pretty. 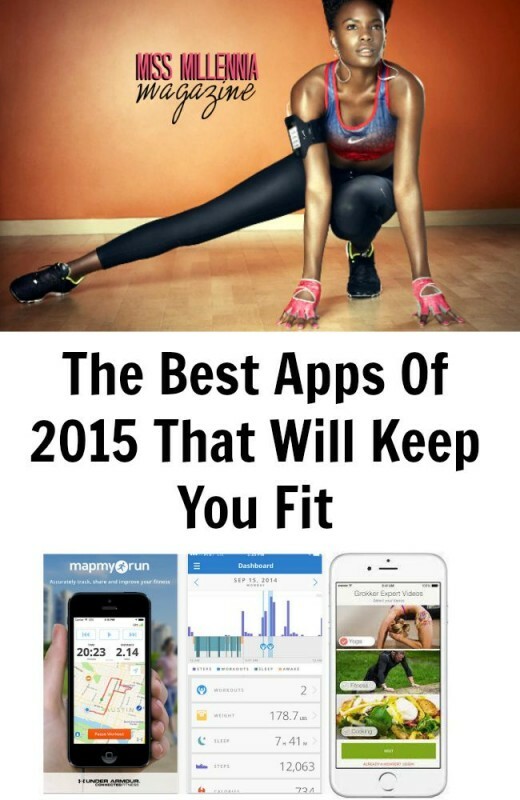 So these are my top picks for staying in shape with your phone! Not only are they easy-peasy to navigate, these truly help you get to your fitness and health goals, no matter what they may be. Now get out there Millennials, and start downloading these awesome apps today! This is a sponsored post on behalf of Grokker. All opinions are 100% my own.